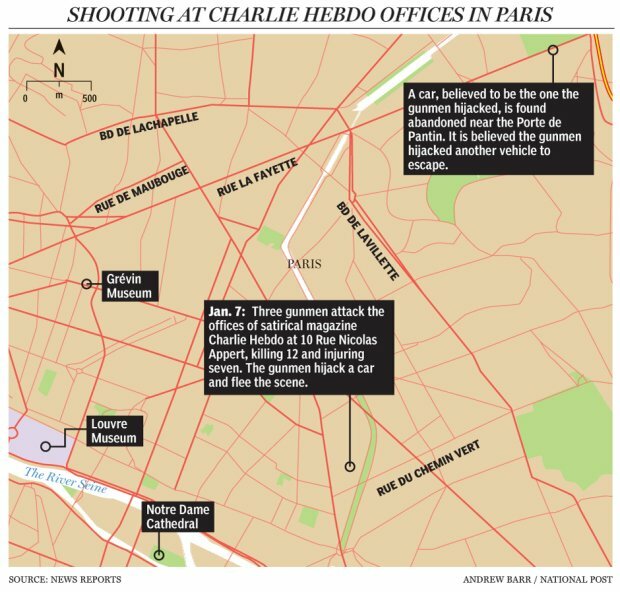 Masked gunmen, claiming to be a part of al-Qaeda, stormed the offices of a satirical newspaper, Charlie Hebdo, that caricatured the Prophet Muhammad, methodically killing 12 people before escaping in a car. Among the dead is the editor, 4 cartoonists, and 2 police officers. It was France’s deadliest terrorist attack in 50 years. 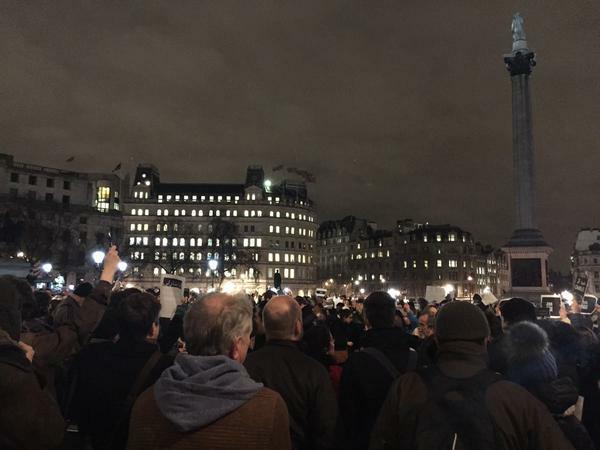 Mass vigils are being held all across the world today, particularly in Europe. As well, social media users on Twitter and Facebook are responding to the attacks with the hashtag #jesuischarlie in an outpouring of solidarity with the victims and freedom of speech. Twitter users, in particular, are replacing their profile photo with a white-on-black image with the phrase. Massive manhunt underway for three gunmen responsible for massacre at French newspaper. Authorities said they’ve identified the 3 individuals responsible for these acts. The car initially used by the gunmen to escape was found in northeastern Paris, where authorities said they hijacked another vehicle. US President Barack Obama condemned the attack, while British Prime Minister David Cameron called it “sickening.” French President Nicolas Hollande called for “national unity”, saying “several terrorist attacks had been foiled in recent weeks”. This is not an isolated attack that was aiming to teach one “troublesome” newspaper a lesson. These terrorists were hoping to silence all Journalists and suppress Freedom of Speech and Freedom of Press. The situation reminds me too much of the Sony hack. In December, 2014, hackers threatened to wreck havoc on movie theaters if they decided to play “The Interview”. The problem with the film is that it depicts the assassination of Kim Jong-un. Sony cancelled the launch and instead opted to release the movie online. I hate to think of what would happen if the movie was released.